Mother of three and wife of John-Paul, Cecelia discovers an old envelope in the attic. Written in her husband's hand, it says: to be opened only in the event of my death. Cecelia wants to do the right thing, but right for who? I struggled with this book, to be honest I only didn't stop reading because the truth of the letter was revealed quite far into the book and down to my own curiosity I wanted to know the details, not because the book gripped me so much that I needed to keep on reading. The truth isn't even all that shocking, I just didn't get any real suspense or tension from the book and struggled to connect to the characters. OK, actually I hated all the characters! Aside from Cecelia and John-Paul's story there's two other stories and they sort of all link together but it feels unnecessary for the most part and a bit like they were only developed so much to pad out a weak initial idea. Even though it wasn't so bad that I absolutely couldn't keep reading, it didn't provide me with any real entertainment or joy. 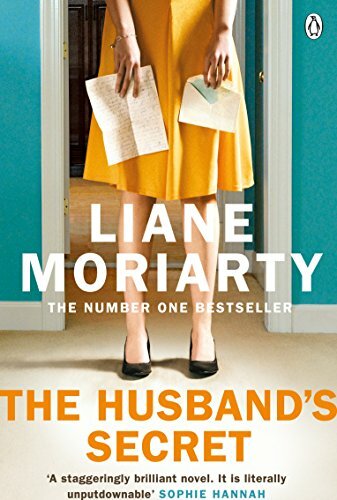 It's safe to say I won't be trying anymore Liane Moriarty books in the future.